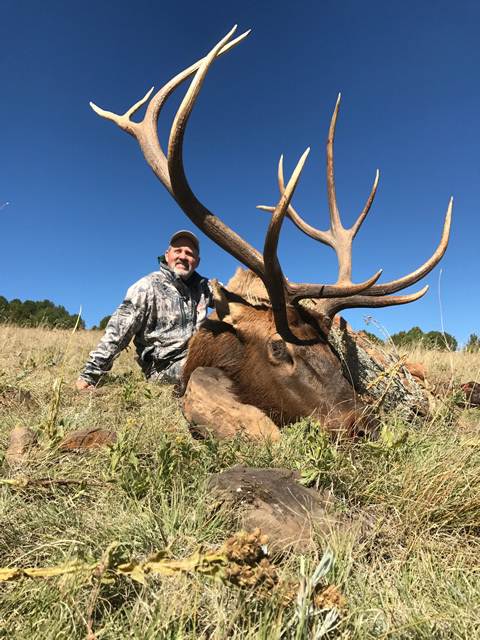 2018 was our best year ever for bull elk. 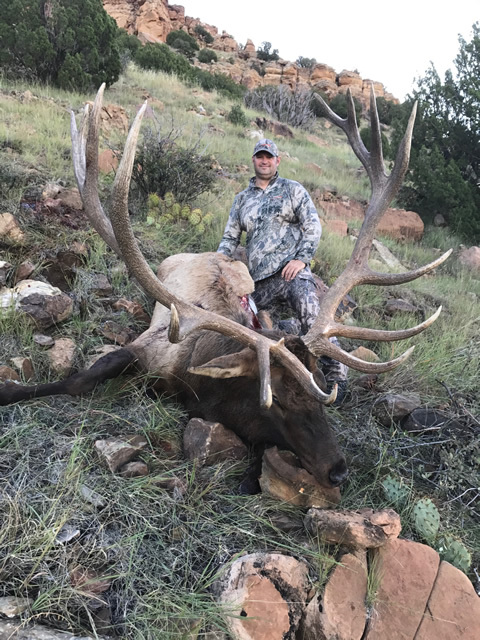 Not only did we shoot our highest scoring bull ever but went 100% on all of our bull only hunts...26 hunters shot 26 bulls with the bulk of them in the 330 to 350 range WOW! 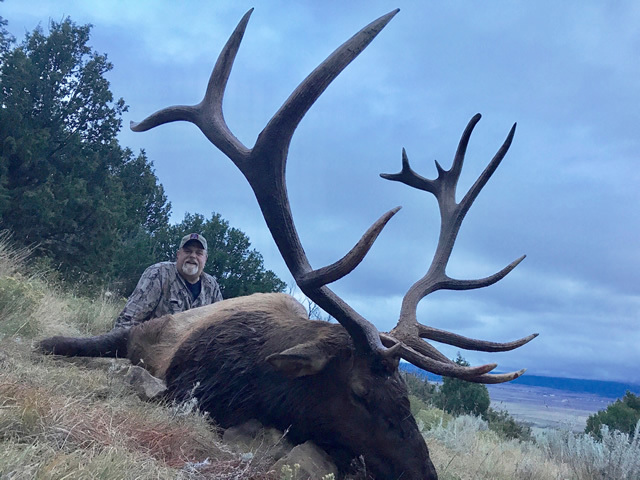 Cow Elk Hunts are available November 23 - 25, and January 3 - 5 (2020) (2 1/2 day hunts). 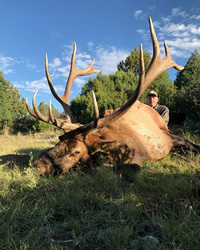 Great for a beginning hunter or just an action packed weekend getaway Call and inquire for availability. 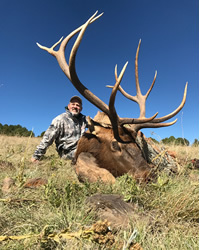 Hunt includes guides, meals and lodging. 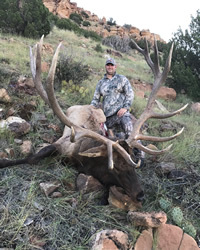 These hunts are definitely the most bang for your buck. 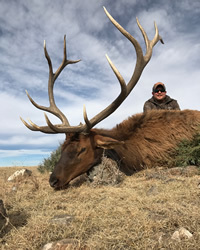 Although weather is a factor on these hunts, the opportunity for quality animals of both species is great. 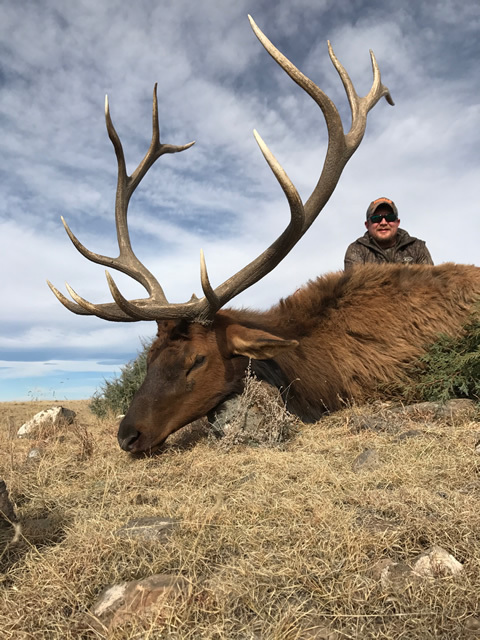 We made some changes to the New Mexico Deer/Elk Combination hunts for 2019. 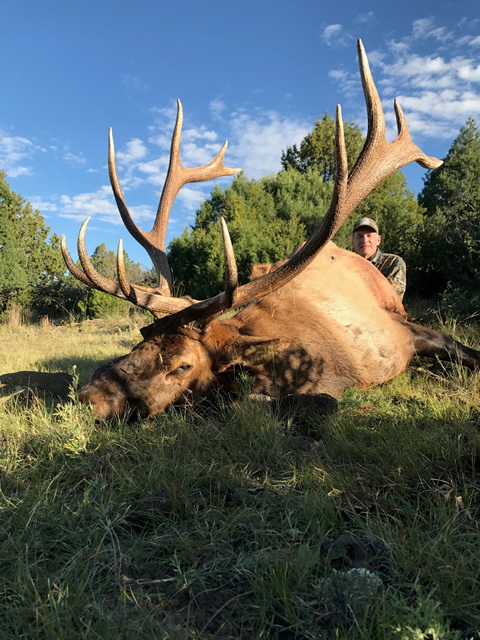 These hunts will be basically Mule Deer hunts with a kill fee for Elk. In 2018 22 tags were filled out of 26. WOW! 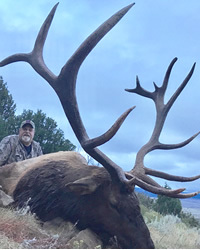 Hunt includes lodging, meals and guides.